Wine Source is a global premium wine supplier. We came in to existence with the vision of providing clients with the best wines - sourced directly from top châteaux and domaines - alongside specialist consultancy from world-class trade professionals. We work closely with the world's top hotels and restaurants, as well as directly with private clients. We offer a wine-buying experience that is truly bespoke, client-led and unique within the wine trade. Our reputation enables us to source rare and specific vintages directly from the cellars of the most highly regarded wine producers in the world. We think of ourselves as the world's 'Fine Wine Concierge' service: a modern wine company made of fresh-thinking experts, delivering a customised service to suit luxury lifestyles. Our team is made up of highly experienced fine wine merchants and sommeliers from Michelin-starred restaurants. Our fully regulated AIF Wine Fund adds a further element to the Wine Source offering. Investors and loyal customers are invited to join the elite Melchior Club, to benefit from a global concierge service and exclusive events. The industry for sourcing wine seemed dull and impersonal to Philippe when he decided to change the game. Though his initial career was in the tech world, he was always an experienced wine collector and investor. He followed his passion and started his own company with a vision to deliver immaculate service through professional experience. He received his US Wine Professional Degree from WSS with Honors. Besides being the founder of Wine Source Group and the Wine Source Fund, he is the founding investor in a large range of industries. Previously, Philippe was the President EMEA of Polaroid, the Head of Digital Business and CMO at Kodak Europe, and Director and Country Manager at Lexmark. Mathieu was born in a family of winemakers and merchants from the Rhone Valley. After completing his education, he used this knowledge to create an import structure to distribute and promote French wine in London. He spent 5 years at Enotria World Wine (Britain’s leading import and distribution of international wines) as a National Sales Manager. He is now the director of all sales at Wine Source Group. Mathieu holds the WSET diploma. Born and raised in Capri, where her passion of wine was fostered. Viviana's first taste of the wine industry was as an Assistant Manager at wine shop Aurora Vino, while also studying Foreign Trade Markets Economy in Naples university and obtaining an Italian Sommelier Association Level 2. She was the first to join Wine Source Group in 2011 and grew alongside this fast-paced environment from Sales Admin Manager to Group Sourcing and Operations Manager. Viviana is currently studying for her WSET Level 4 diploma certificate in Wines & Spirits. Axel received a well-rounded education at INSEEC with a Masters degree in wine sales and a second Masters in wine marketing. Before joining WSG, Axel worked in hospitality, a motor company, and as an assistant marketer for Baron Philippe de Rothschild. Another important position to note was being a wine dealer for the Bureau de Courtage François Lévêque. 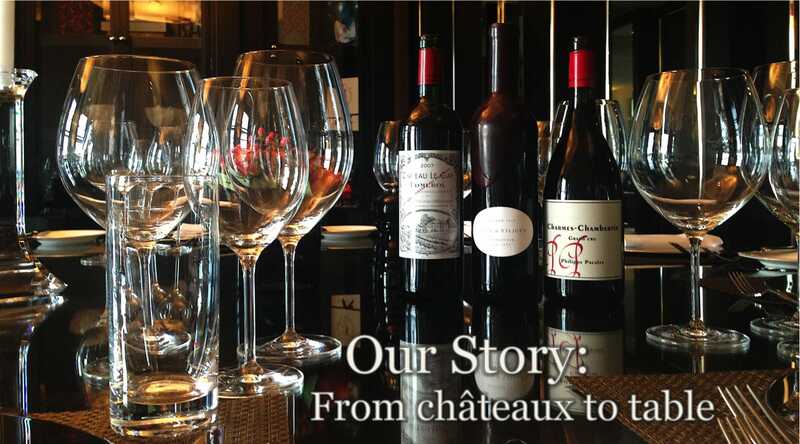 Jasmine's roots lie in Bordeaux where she graduated in accounting and management. She started her Uk career as a Finance manager for advertising agent Mercury Publicity and Management accountant for trade exhibition specialist Emap Connect. She has been part of the Wine Source adventure for nearly 5 years. Already a keen drinker of sweet Bordeaux whites, and recently having obtained her WSET Level 3, Jasmine's interest in wine is widening alongside Wine Source. She is the first French woman and one of only three female Master Sommeliers in the UK. She won best UK Sommelier of the year 2006, the same year she passed as Master. She is a member of the jury in UK Sommelier of the Year, which presents the opportunity to meet sommeliers from all restaurants in the UK. Her previous experience as sommelier includes Bernard Loiseau In Burgundy, Michel Gerard in the South West of France, both 3* Restaurants and Hotel du Vin in UK. She was also the on-trade account manager for the largest UK wine merchant Enotria. Tristan comes from Lyon, France where he earned his education in business at CEFAM before moving to Bordeaux to focus on wine. There, he followed with several internships at wine related companies. He went from being an assistant winemaker at Château de Reignac to being a sales assistant at Bernard Magrez Grands Vignobles Proprietaire. Before coming to WSG, he was manager’s assistant at Clos du Mont Vinon, a wine shop in the middle of the Rhone Valley. Jonathan is a top sommelier coming from the Basque region. Having received his education at Lycee Hotelier de Biarritz and later at CAFA Bordeaux, he worked his way through restaurants in France as an assistant. Eventually he found his way to London, becoming assistant head sommelier at Murano, head sommelier at Berners Tavern and later head sommelier at Clos Maggiore. He came second at the Best Sommelier in the World competition by WSA in 2013. Now with Wine Source Group, he manages sales with Trade and Privates clients. If not found in a nearby London restaurant drinking his way through a funky wine list you might also find him in a live music show or with his shirt off in a park near the East End, enjoying life and a picnic. Ruth has two years' experience in luxury travel, and ten years' - and counting - in the wine trade. She began her wine career in the cellar of a specialist Burgundy merchant, then spent several years in London on trade and national account sales for one of the UK's biggest wine importers, before joining Wine Source Group in 2016. She loves Wine Source because of the fantastic agencies, the dynamic, international team, and the sheer excitement of working for a fresh-thinking wine services company. Lucinda Floyd is a key member of the Wine Source Private Client team. WSET qualified, she has worked exclusively with Fine Wine and those who enjoy collecting bottles and pulling corks since 2008. Originally from Northern Ireland, she holds a bachelor's degree in Biology from Queen’s University, Belfast. Lucinda has gained a depth of knowledge from sourcing and managing private cellars and extensive portfolios across the world and is confident dealing with the intricacies and due diligence this requires. Whether you are in the early stages of curating your first cellar, or would like inspiration to reinvigorate what you already own, she is well equipped to leverage the wealth of resources and relationships Wine Source enjoy with their agencies and key partners. Thomas, now managing account portfolios for our private clients, was raised in the most classic Parisian home where food and drink stood at the core of family activity. Four course meals served with sensational wine are still the norm even today. This did much to foster Thomas's love of fine wine and food, even though he went ahead to excel in kickboxing which resulted in the French national championship. To further explode any convention, Thomas graduated from the well known Ecole Boulle with a Diplome des metiers des Arts. He completed WSET 2 to further his knowledge when he began collecting and trading wine for himself and his friends. In true modern terms, Instagram is what also allowed him to meet and drink with fellow wine collectors and enthusiasts alike to train his palate as well as his knowledge through tasting a wide range of wines. Tom is highly versed in the wide world of food and wine. He has tasted wine in Uzbekistan and Myanmar, worked on vineyards in Marlborough (NZ), Margaret River, Minho and Calabria, and made sausages and cheese in Puglia. He brings to Wine Source his WSET training, 12 years and counting of experience working in and around wine, and his sheer unadulterated enthusiasm for the trade. Ance comes from Latvia. She worked in hospitality for over 14 years and is qualified in WSET, she dedicated her last 6 years to some of London’s well known wine bars & restaurants such as 28-50, Blandford Comptoir and Cabotte ran by Xavier Rousset, as well as The 10 Cases. Oscar’s passionate for technology is almost equal to his passion for Chelsea FC, and music… Experienced in the design, build and management of websites and mobile apps, he joined the Wine Source team to help grow e-commerce, develop communications, and build the company brand. Thomas has had an impressive history on the business front. He was the founder and CEO of Selective Origin in Paris. He was also CEO of M. Chapoutier in Australia. He was the MD of Vranken Estates, a subsidiary of Vranken-Pommery Monople in the UK, covering UK, Canada, and HK, and the executive vice president of Vranken-Pommery American. The head of our California and Private Clients business, Stephane has plenty of experience in the luxury side of wine, having been General Manager of Joel Robuchon and Bar Boulud in New York, and following that, the F&B Director of Belmond Hotel in Santa Barbara. Stephane worked with us as a consultant before giving in to the irresistible lure to join the team full time. Born to the biggest grape broker in Champagne, Erik grew up in the Montagne de Reims, later moving to Paris to study. He worked for Champagne Laurent-Perrier in San Francisco, as a VIE liasing with distributors in 10 states, as On Premise Manager and then NY Manager. He later joined the Thienot Group as North East regional manager for 6 years, covering 4 states and building a hugely successful business from scratch. After a brief stint at Vranken Pommery America as the North East manager covering 8 states, he was finally persuaded to join Wine Source Group! Seck Wee was first introduced to the joys of imbibing wine in his earlier days in university where the pursuits of higher knowledge led him to discover the giddy fruits of Dionysus. His career path definitely led him astray, towards related lifestyle business segments, including fashion publications, cosmetics, alcoholic beverages, retail department stores, consumer electronics, all of which accentuated his relationship with wine. Throughout his professional career history spanning over 3 ½ decades, Seck Wee held senior management roles building market leadership positions for many consumer & lifestyle brands in markets throughout Asia, including L’Oreal, Tiger Beer, Mattel Toys, Singapore Telecoms, & Eastman Kodak to name a few. As providence goes, Seck Wee first met Philippe Kalmbach, (Founder & CEO of Wine Source), over a decade ago one dark and cold night in Rochester NY, USA over dinner. These newly found MNC colleagues soon struck up a long standing relationship, which finally extended to Seck Wee helping to start-up the Wine Source offices in Singapore (mid 2012) and, Macau (mid 2013). When not working or drinking, whichever being the worse case, he chills out by falling back on his first love for classical music, plus watching movies & attending concerts. The occasional game of tennis still takes place, when timings permit and hitting partners are available.